The last few days have proven to be memorable and horrific. It has been overwhelming to watch the images in Japan. We are called to act to bring the love of Christ to this hurting world. We trust that it will be a special moment for the work of God in Japan. 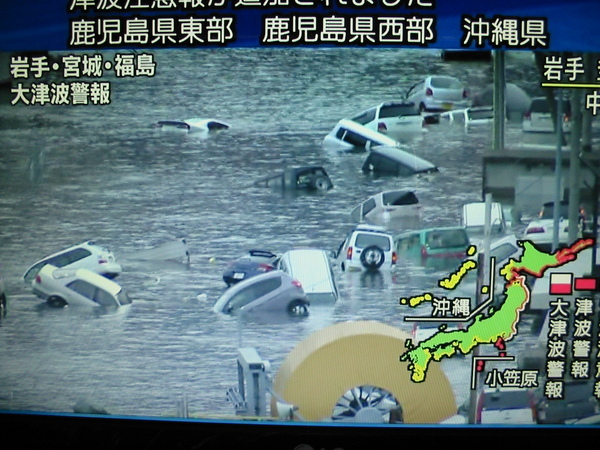 Yesterday Japan was jolted by the largest earthquake to ever hit this country, creating a tsunami of devastating impact. You've seen the reports of cities around Sendai that have been nearly completely destroyed. Other towns and villages along the sea coast have seen the same horrific condition. At last the last reporting, nearly 1300 people are either lost are killed in the aftermath of this destructive force. I am with our Asian Access/Japan staff on retreat near Nagano, where another quake (7+) hit early this morning. Everyone is okay, but the quakes certainly gave us pause and concern. We have been praying fervently and are convinced that this is a "kairos" moment for the Church in Japan. This is an historic opportunity for the Church to be the Church and rise up to serve the needs of the country in the name of Christ. We at Asian Access believe that God has called us similar to how Mordecai spoke to Esther centuries ago, "you have been called for such a time as this." The Lord has uniquely positioned us with one of the largest and broadest networks of churches across the country. We believe the Lord would have us serve as a catalyst to "unite the church" to "extend the transforming power of the Gospel" as our mission statement directs. Interestingly enough, our new VP for Japan, had been planning a luncheon for this retreat to help us look at disaster preparations—on March 12, the day after the earthquake hit! In addition, several of our staff just went through a special course to assist the country in situations just like this one. So, we are poised and ready to respond and now looks like the kairos moment for the church to rise up and make a difference, and in so doing, see transformation happen on multiple levels (spiritual, physical, social, etc.). We are networking with the church across the nation to mobilize the body of Christ for action and we invite you to join us in this 'kairos" opportunity. Pray for Japan, for the church and for us as we prepare to come alongside the church and other partners to deliver aid and respond with well-prepared teams as the opportunities arise. 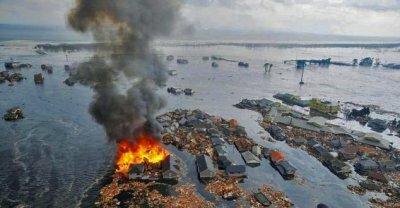 In this effort, we have set up a special Japan Tsunami Relief Fund for you to invest (http://asianaccess.org/A2-Japan-Tsunami-Relief-Fund.html). This will provide aid to hard-hit areas, delivered primarily through local churches. There may be no greater opportunity for the Gospel’s advance in Japan than this very hour. In the coming weeks, we'll also inform you of service opportunities, but we need to plan these in cooperation with others to maximize our efforts. Asian Access missionaries and Japanese pastors in a strategy session planning how we can respond practically. We will first deliver aid through our extensive network of churches, as well as participate personally in relief efforts in cooperation with C.R.A.S.H. (Christian Relief Assistance, Support, and Hope). There a lot of issues facing today’s evangelical church – We’ve seen heat over issues like homosexuality, political affiliation, non-hierarchical ecclesiology, postmodern epistemology, and more. But perhaps the biggest issue facing us in the coming years will be the deconstruction of our understanding of Hell. Instead of retreating into “This is a forbidden subject” as many of us do, we need to deal with it frankly and honestly, fixing our eyes squarely on the Scriptures and our hearts with the Spirit of God. Justin may be right about what Rob believes, but if he is wrong then he owes Rob Bell a huge apology. I want to wait to see what Rob Bell says, read it for myself, and see what I think of it. Rob is tapping into what I think is the biggest issue facing evangelicalism today, and this fury shows that it just might be that big of an issue. The publicity approach of HarperOne worked perfectly. They got huge publicity for a book. They intended to provoke -- and they did it well. I think it is wiser to wait to see the real thing than to rely on publicity's provocations. Justin bit, and so did many of his readers. I look forward to engaging in a civil discussion about the nature of “Heaven, Hell and the fate of every person who ever lived” (as the subtitle of Bell’s book reads), because in my dealings with young college students this is the BIGGEST ISSUE that keeps them from even approaching a conversation about Jesus Christ.